Featured Client: Marc Russell Interiors’ lead designer, Michael Huard | Design 9 Inc.
Design 9 has been very fortunate to work with Marc Russell Interiors for over fifteen years. They have an outstanding staff of very talented designers, one of whom stand out from the crowd. This week, we had the opportunity to showcase Michael Huard, one of Marc Russell Interiors’ designers, as our featured client. 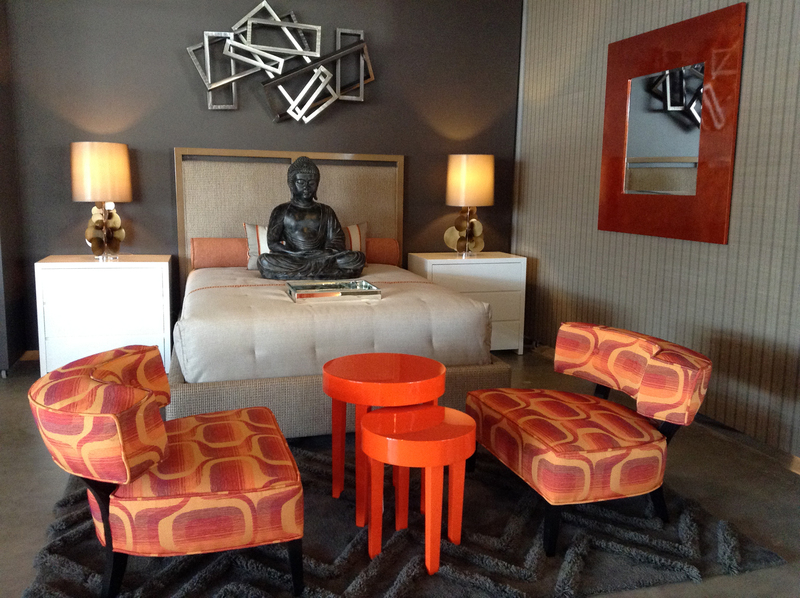 Michael is a top designer and the store manager of Marc Russell Interiors, located in Palm Springs, California. 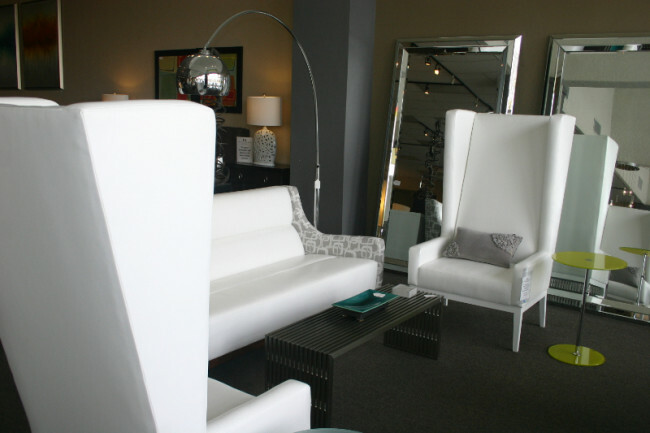 Marc Russell Interiors is one of the most prominent retail stores in the area, and specializes in soft contemporary and mid century designs. With an 8,000 sq ft show room, they offer a wide variety of product, along with professional design services. I had the chance to sit down with Michael and talk about his career in retail and design, and his experience in working with Design 9. Michael and Tricia selecting fabric for new floor models. In the beginning of his career, Michael began Michael H Production’s fashion company where he launched lines, participated in commercial business, and hosted fundraiser and gala-style events for well-known names such as Tiffany & Co., DKNY, and CIT Investment Group. 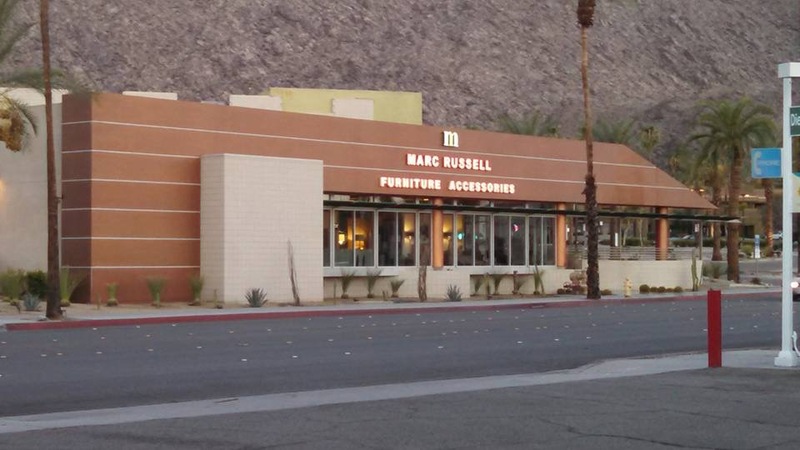 What is the focus or business model of Marc Russell Interiors with regard to staff? Is your staff more designer based or sales? How have you influenced the store? What style does Marc Russell Interior’s specialize in? What projects have you personally used Design 9 product in? Design 9’s Big Alice and Lady Berton on Marc Russell Interior’s showroom floor. Is there any piece in particular of our line that is your favorite piece? Pictured above is of one of Michael’s favorite Design 9 pieces, the Cole occasional chair. 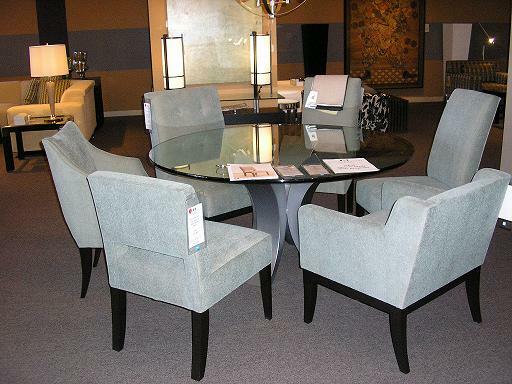 Design 9 dining chair program featured at Marc Russell Interiors. What are the demographics of your client? It’s a resort town, and generally, yes, it is still a “second home” place, but we are seeing a younger, more diverse population moving in. We also see the homes becoming the principal house, and people are putting a lot more money and emphasis on what goes into the house, as opposed to just renting furniture or buying it cheap. So, along with the ever expanding gentrified neighborhoods, there’s more importance placed on these homes. As opposed to before, the interior of the home has now been prioritized. What trends have you noticed recently in your area that have been working well? I saw Violet coming in as a color trend. Its one of three native colors in the desert, white, yellow, violet bloom in desert. With all the dusty green palm trees, violet alongside them is really beautiful. Its all over, its a wall color, a fashion color, an upholstery color. As far as trends go we generally stay away from whats trending in tile, floor covering, and we tend to create a classic transitional pallet in this day in age. Other than color, but that is transitory. 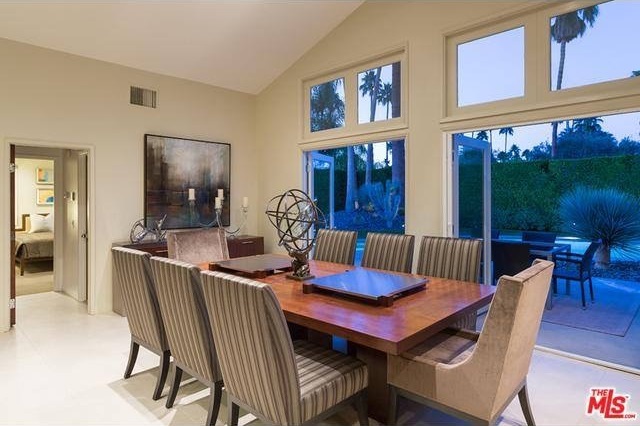 What type of items are really popular right now in the area that you’re servicing (Palm Springs, California). We have a tendency to do a lot of great color pattern and prints. Light and airy pieces do great. We do a lot of white, orange, lime green, palm springs-esque colors. What has been your experience working with Design 9? Design 9 makes accommodations all of the time. And Tricia is a doll and shes really cool about expediting things. We do a lot of COM work with her and she’s great for fabric application- very accommodating. For example, in one project I needed to stretch a bar stool into a bench and she accommodated us and had it done, she’s great about doing that. And working with a company that will do COM orders is incredibly helpful, and that’s where Design 9 comes in. Having the opportunity to speak with Michael was one of a kind. He’s incredibly experienced, and obviously talented. There’s no doubt- Michael loves what he does. 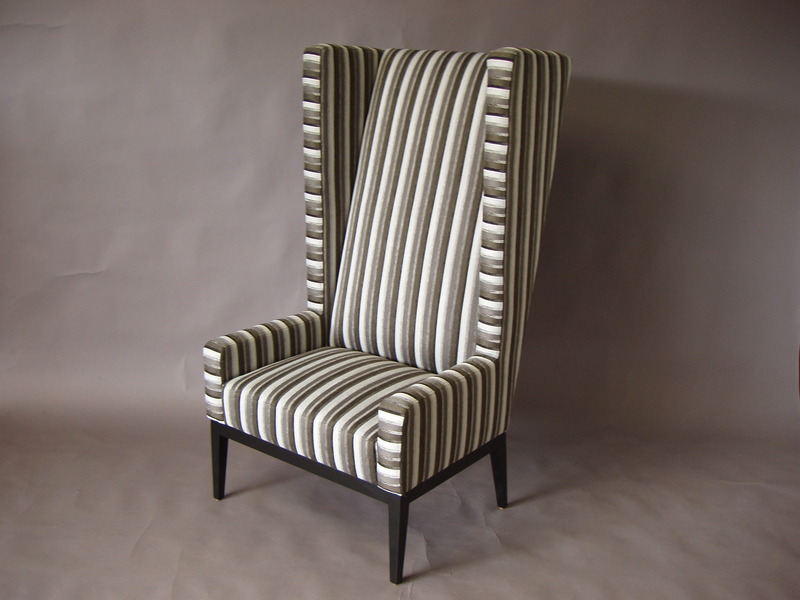 His passion shows in his work with design and at Marc Russell Interiors. He was excited to talk and open, which makes my job much easier. It was a genuine pleasure to speak with someone who has worked for so many incredibly well-known names. I look forward to talking with Michael more in the future! If you’d like to be featured please send inquiries to tricia@design9inc.com or jordan@design9inc.com.